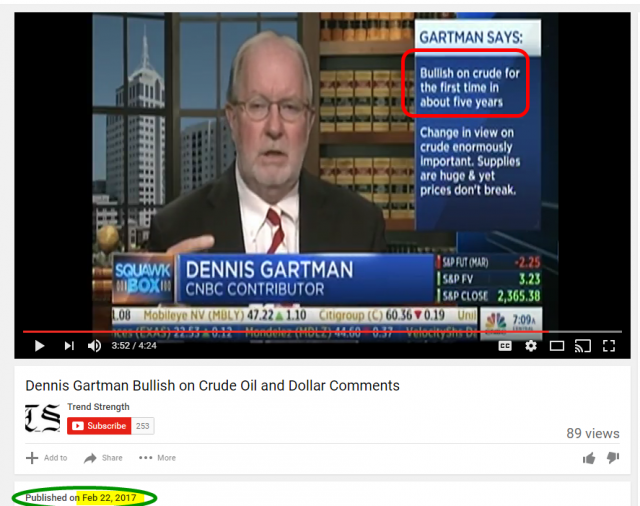 As you can see, back on February 22nd, Dennis “Commodity King” Gartman went on CNBC to declare that, at long last, for the first time in about five years, he was bullish on crude oil. 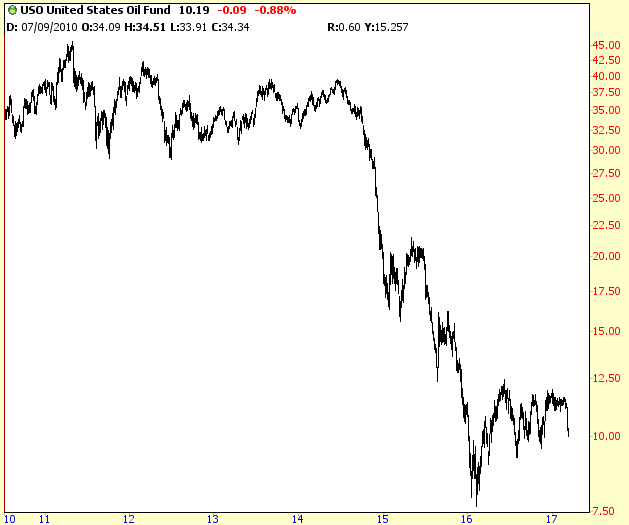 Savvy traders jumped on this and, knowing Gartman’s tendency to generate reputational pratfalls, shorted the bejesus out of crude oil and were richly rewarded for it. But this is not about Gartman’s well-documented tendency to, shall we say, not have a perfect record. It has to do with this “five years” nonsense. 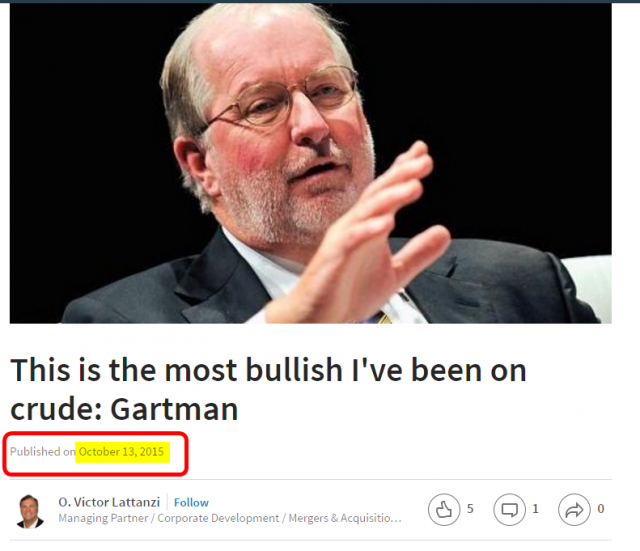 So as you can see, in October 2015, Gartman declared himself the “most bullish I’ve ever been on crude”. My arithmetic skills are strong enough to know that February 2017 minus five years is long, long before October 2015. So let’s just pretend that some person had indeed been persistently bearish on crude oil for this stretch of time, and then, just recently, he declared himself bullish. I’d sit up and take notice. After all, if someone is correct for five solid years, and then he has a different opinion, that’s worthy of attention.